Cork floors are an excellent choice in the Midwest because they provide a warm, cushiony, sound-minimizing floor for your space. 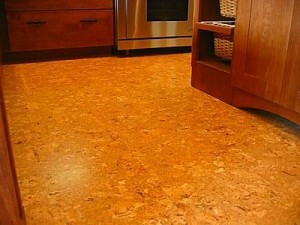 Cork floors are a popular choice for children’s playrooms, noisy public spaces, kitchens, bedrooms, and living areas. Cork is also durable. In fact, the oldest cork floor we know of in the area was laid in 1890 in the First Congregational Church in Chicago. Cork is harvested from the Cork Oak in many Mediterranean countries. Thriving in the toughest conditions, Cork Oak trees have no negative impact on their natural environment. The bark is stripped from the trees approximately every 10 years, and the trees can live to be over 150 years old. Honeycomb structure makes cork unique. Cork fiber is made up of honeycomb like structures comprised of 85% air-like gas chambers. This high air content contributes to the many desirable traits of cork floors. 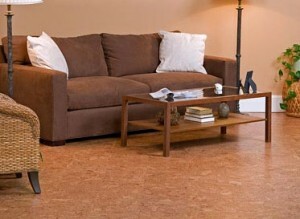 Because of the high air content, cork floors are natural insulators, and they maintain a constant temperature. 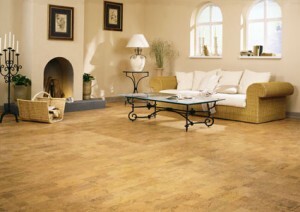 Cork floors are very comfortable to walk on with bare feet, and they feel warmer than wood or tile floors. The high air content in the cellular structures of cork decrease sound conduction and vibrations, making cork a great choice for condos and busy commercial or public spaces. Cork naturally expands and contracts with changes in the weather and pressure. Dents in cork floors are possible (from high heel shoes for example), but the floor returns to its original shape once the pressure is gone, unlike hardwood floors.